When we are sleeping some of our muscles relax, which can lead to the tongue to retract posterally . The space that allows the air to travel to the lungs is then diminished, which causes a decline in the quantity of the air inhaled. To continue to breathe normally, our body accelerates our air intake, which leads to the vibration of certain throat tissues (the soft palate, the tonsils, the uvula, etc. ), and this vibration causes snoring. For certain snorers, the obstruction of the pharynx is complete and completely prevents the passage of the air, which provokes a respiratory arrest; we can then speak of sleep apnea. This phenomenon can repeat itself dozens or hundreds of times during the night and can last more than 10 seconds each time. This sleep disorder causes a decrease in the oxygen level in the blood and must not be taken lightly because it can lead to serious short and long-term consequences: hypertension, stroke, depression, cardiovascular diseases, fatigue and sleepiness, problems with libido, etc. 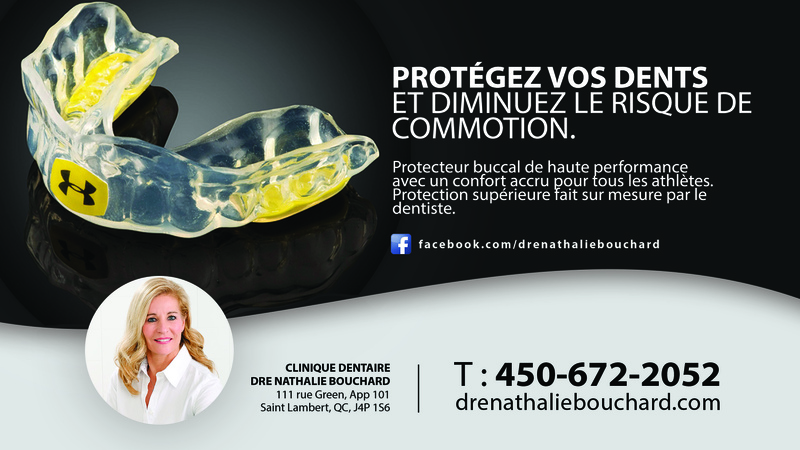 It is a small, flexible and comfortable custom-made device, a little like the device used to protect athlete’s teeth. This device allows your lower jaw to be gently maintained in a forward position in your sleep. In this way, it frees the passage for the air to be passed on to the pharynx and prevents the obstruction that causes snoring and sleep apnea.